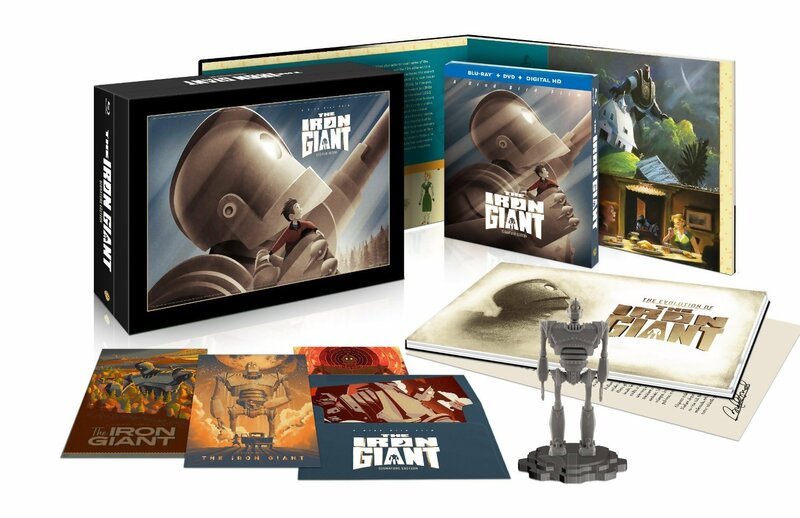 Engadget is reporting details on the soon to be released Iron Giant collector edition Blu-ray slated for this Fall! Last September, the animated classic The Iron Giant returned to US theaters as a “Signature Edition” with high definition visuals and two additional scenes. Warner Bros. has now confirmed a Blu-ray release for this fall, as well as an “Ultimate Collectors Edition” that includes a few extra goodies. For $74.99, you’ll get the “Signature” cut and the original theatrical release, both in high and standard definition. There’s also a documentary on the disc called The Giants Dream, which gives a “definitive” look at how the 1999 classic was put together. Tagged 2d Animation, 2D Animator, Animation, Animation Director, Animator, Brad Bird, Classic animation, DVD Release, Iron Giant, Maya, Warner Bros..